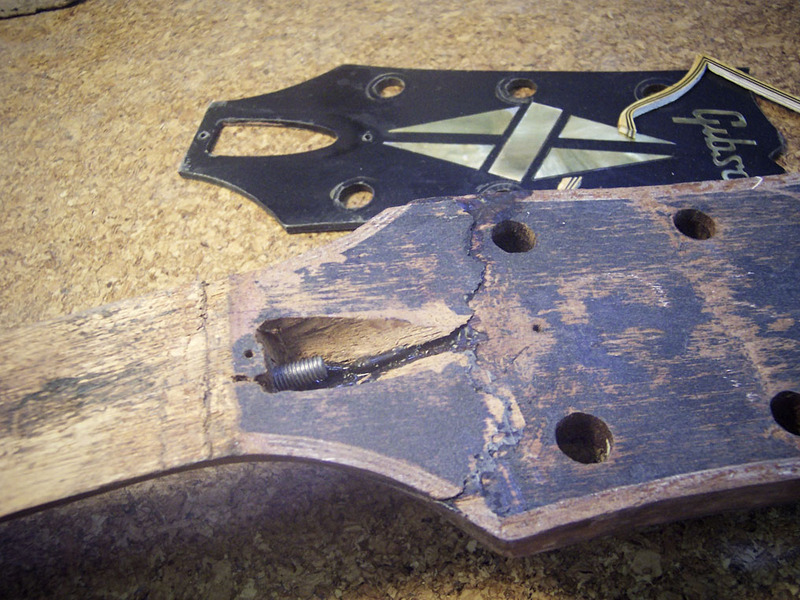 This repair is from my archive and was completed ion 2004. I have a large volume of past repair and restoration photos. As I go through them I will put up any interesting ones as blog entries. 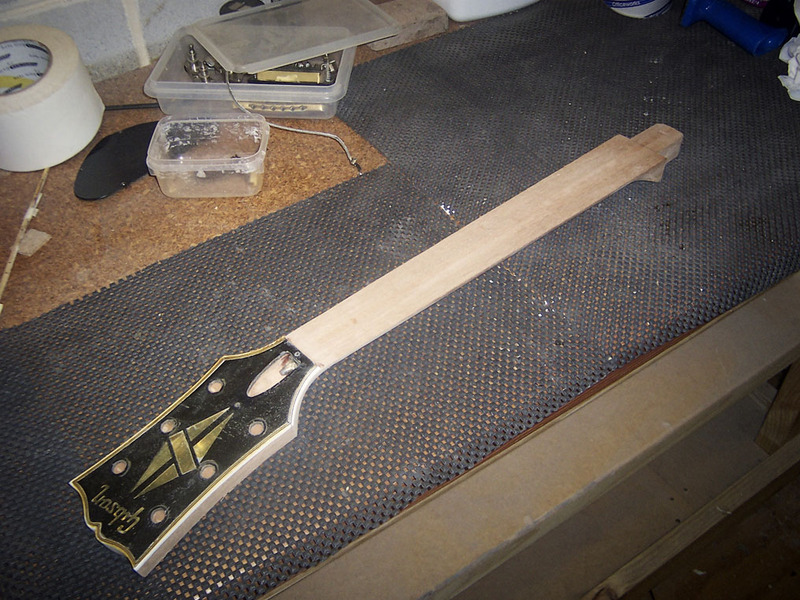 I remember this one really well as it was a satisfying job to complete without it looking obvious that the neck is new. 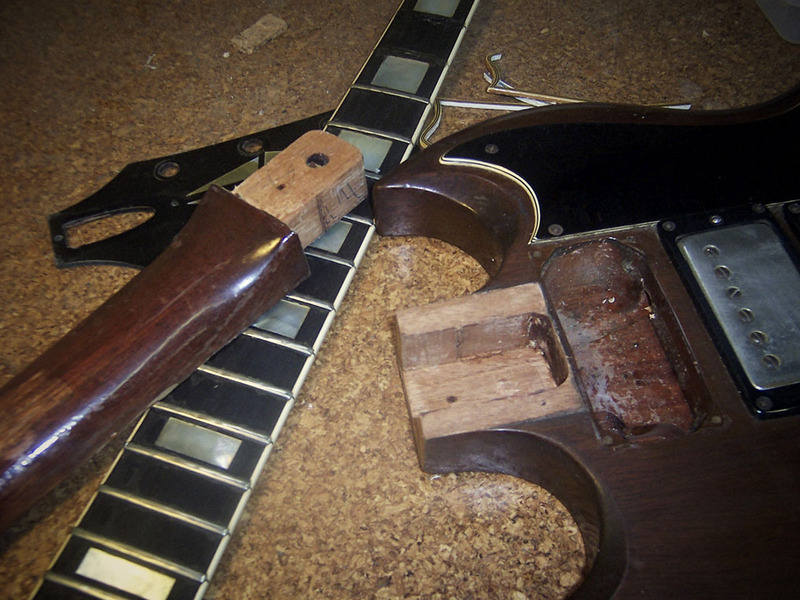 The guitar had had a badly repaired head break or two as is very common to see. 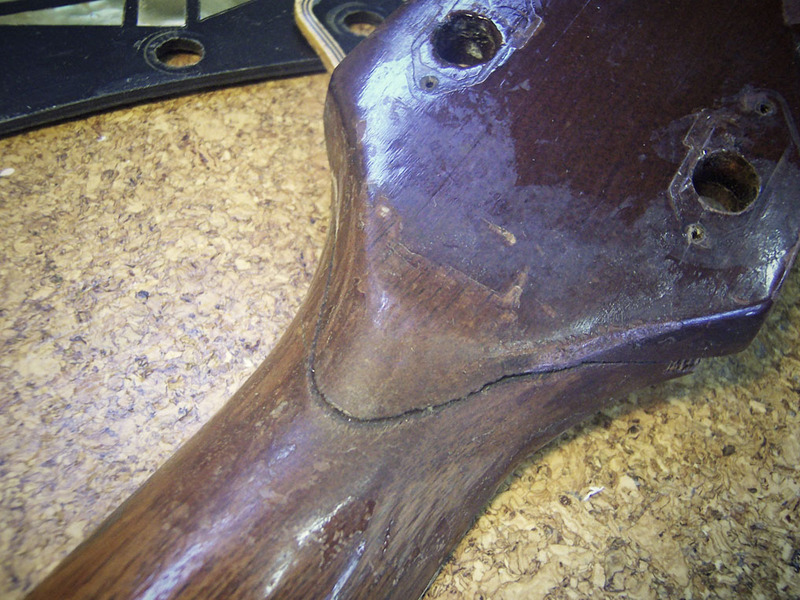 It had also been over sanded to the point that the head had lost enough integrity both structural and visual shape that is was worth replacing, especially along the binding edge which was destroyed. 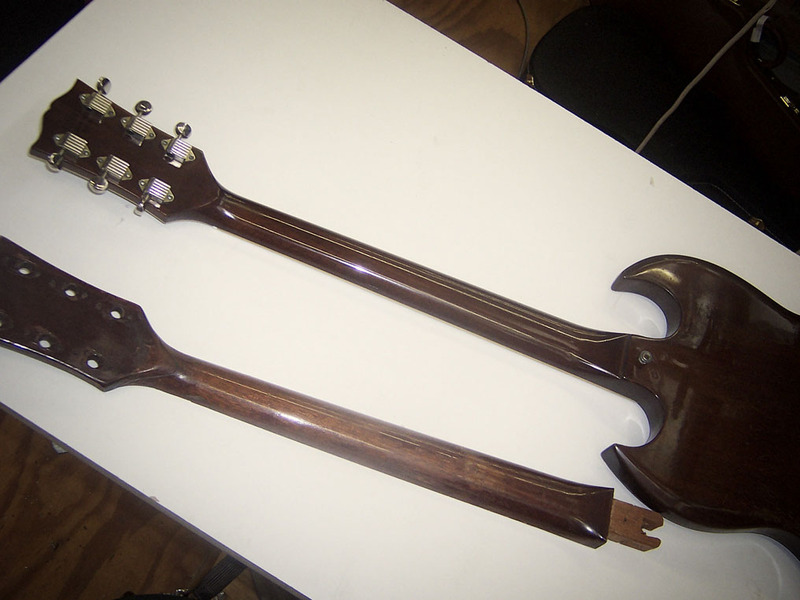 After the neck was removed and disassembled, a new mahiogany neck made utilising all of the original parts. 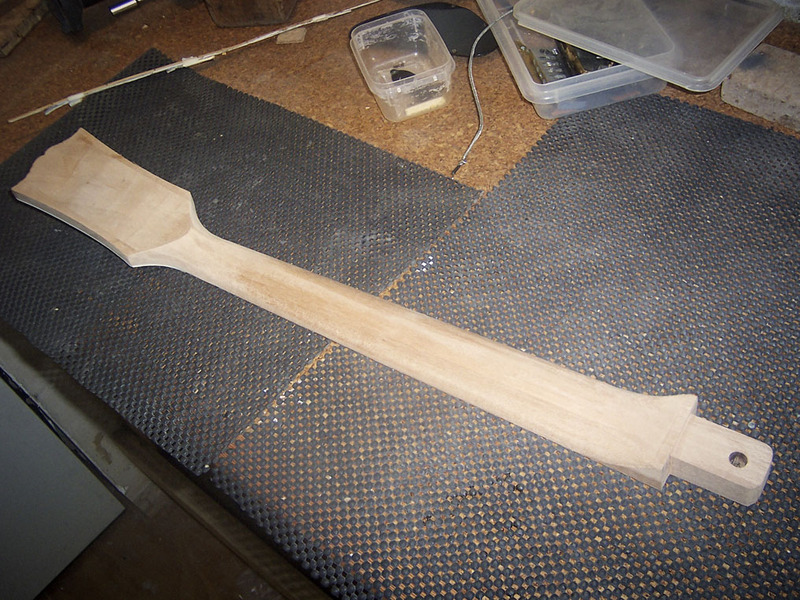 Truss rod, fretboard, and headstock face/binding paying particular attention to making the neck and also heel shape mirror the original exactly. 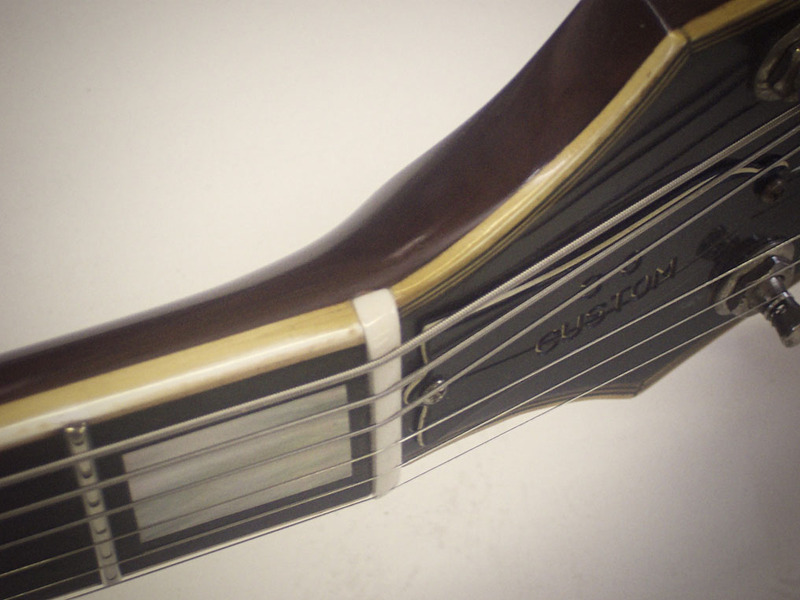 The completed neck was glued into the guitar, the frets replaced (this re fret done without binding “nibs” at the customers request – it’s common to do re frets on old Gibsons and replace the binding nibs (just more labour intensive). 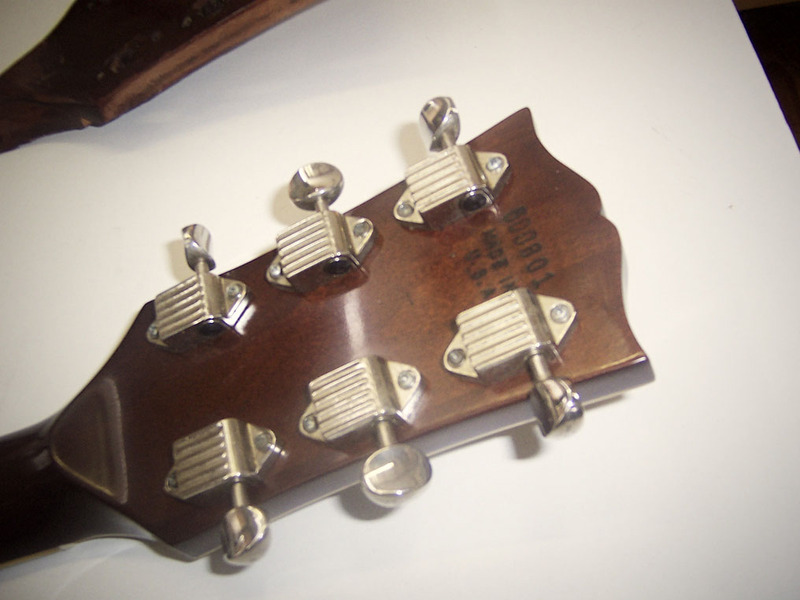 The final stage of this repair was to relplicate the colour and aged finish patina. 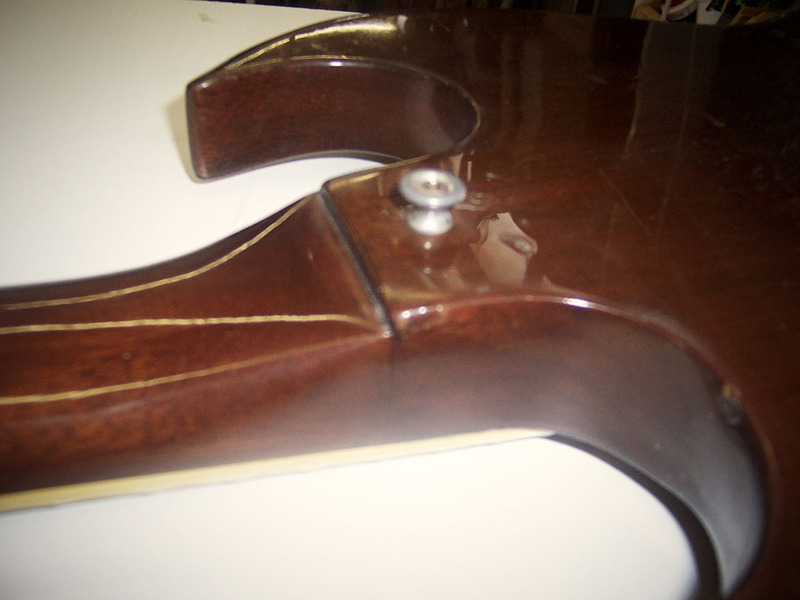 Getting “brown” right on mahogany is something that took a few attempts to get just right but well worth the effort.